I was nominated by the Military Commission Observation Project (MCOP) of the Indiana University McKinney School of Law and confirmed by the Pentagon to travel to Guantanamo Bay, Cuba to monitor military commission hearings in the case against Abd al Hadi al Iraqi, who has requested to be called Nashwan al Tamir, from 30 September – 7 October 2017. Hadi is an alleged senior member of al-Qaeda responsible for war crimes. This will be my third time to observe in the war crimes pre-trial hearings. I traveled toFt. Meade, Maryland in October 2016 to observe the hearing in the case against Khalid Sheikh Mohammed and 4 other alleged masterminds of the 9/11 attacks, and to Guantanamo Bay, Cuba in January 2017 to observe hearings in the case against Hadi, the same defendant in the upcoming hearings. As of last Thursday, 14 September, Carol Rosenberg reported in the Miami Herald that Hadi has been referred for neck surgery after a period of time of known health issues. It was reported that he had lower back surgery earlier this month. There is no official word yet from the Pentagon as to the status of the hearings slated to begin 2 October and run through 6 October. The Miami Herald reported that Pentagon spokesman Air Force Maj. Ben said the hearings were still on (as of Friday, 15 October) and that any request for delay would only be considered in the event that the defense file the appropriate motion. Guantánamo prisoner Abd al Hadi al Iraqi, who says his true name is Nashwan al Tamir, poses for the International Committee of the Red Cross in a 2014 photo taken for his family, and provided by his attorneys. As of today, Monday 18 September, the defense filed a motion regarding Hadi’s current medical status to request an emergency motion to abate the proceedings until he is physically competent to stand trial, per the filing listing available on the Military Commissions website. The most recent motion regarding the emergency abatement was filed today and is still being processed under security review and not available to read by the public. Once it has gone through the security review, the document will become available here. The National Oceanic and Atomspheric Administration (NOAA) has announced that a category 5 hurricane is heading towards the Caribbean. Hurricane Maria is a 160mph storm that recently made landfall on Dominica and is now headed towards Puerto Rico, which is officially on national alert after President Trump issued an emergency declaration for federal assistance for the territory. If it continues on its current trajectory, it may narrowly miss Cuba as it veers north towards the Atlantic. I am grateful to have the opportunity to travel to Guantanamo again to observe the Hadi hearings, but am aware that the hearings may be canceled and rescheduled to allow for a lengthy recovery period of the defendant. I will continue to prepare for the hearings as if they were to go forward so that I am fully prepared in case I am able to travel next week to Guantanamo. Observers representing various organizations posing in front of our sleeping quarters in January 2017 at Camp Justice in Guantanamo Bay, Cuba. Hurricane Irma — Cancelled Guantanamo Bay, Cuba Military Commission Hearings? 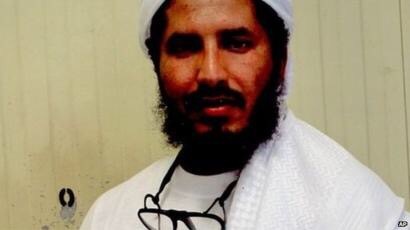 A military flight is scheduled to depart for Guantanamo Bay, Cuba, tomorrow, Tuesday, 6 September 2027, ferrying dozens of legal professionals and others to a pre-sentencing hearing for Mr. al Darbi, who pleaded guilty to charges related to a tanker bombed off Yemen’s coast in 2002. 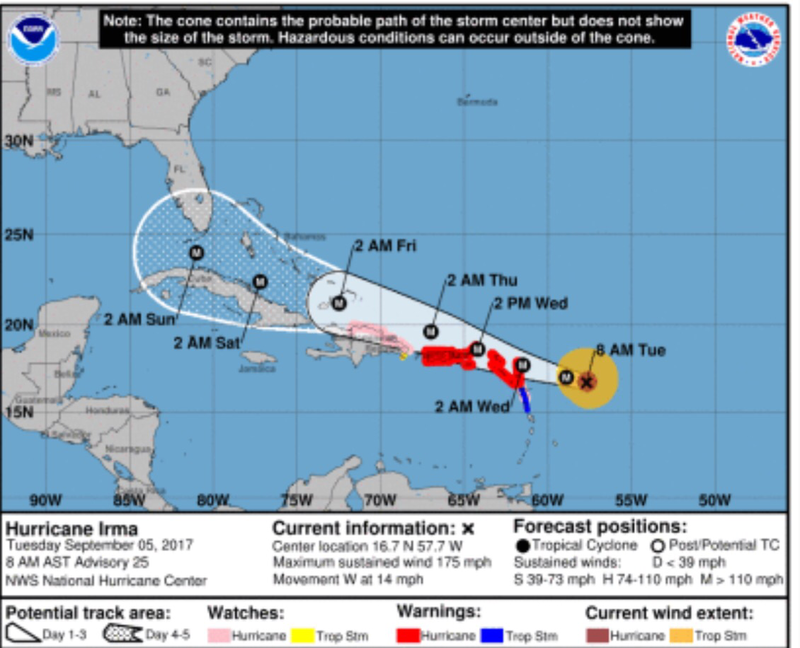 But Hurricane Irma appears to be barreling towards Cuba, making travel to the remote war court precarious, jeopardizing the Thursday to Friday hearings. I am scheduled to be on that plane tomorrow from Andrews Air Force Base to Guantanamo. I am an independent legal monitor, invited to observe hearings pursuant to the Pentagon’s stated desire for Guantanamo Bay transparency. I examine rights and interests of all categories of Guantanamo Bay stakeholders, including rights and interests of the defendants, the prosecution, victims and their families, media, the public, the prison guard force, and others. On these missions I am typically joined by other monitors representing human rights and other non-governmental organizations (NGOs). As of 1:00 p.m. on Tuesday, 5 September 2016, we have received no official notification of any flight or hearing cancellation. Of course we know that the Office of Military Commisions has their hands full sorting out logistics for this week’s scheduled pre-trial hearings, but also hearings for the next three weeks. They handle matters such as the flights for everyone who travels to Guantanamo, multiple categories of travel and security paperwork, accommodations on the ground at Guantanamo, local transportation, and escorts. And when hearings are cancelled, arrangements for all the above also need to be cancelled–and then rescheduled. Should we proceed to Andrews at the crack of dawn tomorrow for the scheduled flight? Or skip it, even if it is going forward, given Irma? When will Mr. al Darbi’s pre-sentencing hearing occur?